Dream farm drawn during a workshop exercise at the NOFA NY conference. I’ve found that along my path to someday be a true homesteader/farmer it has really helped to learn from people who are currently doing what I plan to do eventually. It’s one thing to get a book on how to do something, and it’s another to learn it from someone, even if learning that skill makes you realize how much you don’t want to continue doing something. For instance, I’m used to the idea of year-round farming through my work with KFF. Michael has given many talks on winter growing and I’m used to our farmer’s market which operates all year. Because of this I just assumed I would take the same path. All it took was 30 minutes of cleaning the dirty roots of scallions in a very cold washing shed one Friday to realize I should reconsider. As my hands were wet, and bright red from the cold, all I could think was that I really wanted to cry….a lot. I was in pain and uncomfortable and really hoped that every bunch would sell at market the next day to make it worth it. I can’t say I will never grow anything in the cold season, but I certainly have a different perspective on it now. A similar thing happened while reading The Dirty Life by Kristen Kimball. She talks a lot about their dairy cow and the daily chores that go along with having a dairy cow. Being honest with myself I realize that’s not something I want to deal with. Part of me wishes that none of this were the case. It makes me feel foolish and weak, but there are certain aspects of who I am that I fear will never change, at least not easily. Waking at 5a.m. to milk a cow in the dark and freezing cold of winter sounds like something I would easily get immensely frustrated with. I’m glad I can acknowledge that part of me. At the NOFA NY conference I was in a workshop and at one point we broke into small groups and had to draw our dream farm. There were no parameters. You weren’t supposed to think in a logical sense, you were supposed to go with what you would want if there were no limitations. So I put aside any thoughts regarding “what we could afford” or “where the land might be” and just went with my ideal situation. In the end half the land was going to be for pastured animals, mostly pigs. The other half would be filled with vegetables, flowers, our home, a barn, a commercial kitchen, orchard, bees, and more. The property would be flanked by water and have a forest in the back where I could cultivate mushrooms. As we went around and discussed our farms it occurred to me that what I really want is like a homestead on crack. I want enough land and the means to fully sustain our family, with enough room for a small CSA operation, value-added products, and enough pork for charcuterie. This was a very important exercise in “truthiness” (thank you Stephen Colbert!) as well. 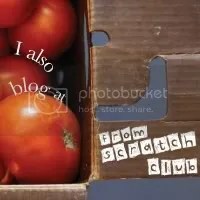 It showed me that I don’t necessarily want to supply 100s of CSA shares, I’d rather put the time and energy into Chris’ meat business with some other products on the side. Obviously things do change and flux over time, and I know in reality the property we may get might not have water on either side, or a forest, and we may never be able to afford a commercial kitchen, but it’s nice to have a vision to work toward and a way to keep my wandering mind in check. These are the kinds of things I’d really rather come to terms with now than to end up with a bunch of sheep I don’t know how to care for just because they are cute and I can make yarn from their fleece. Believe me, mistakes will be made, but I’m just hoping that being honest with myself will prevent additional ones. This entry was posted in farming, homestead on January 31, 2012 by Erika T.. 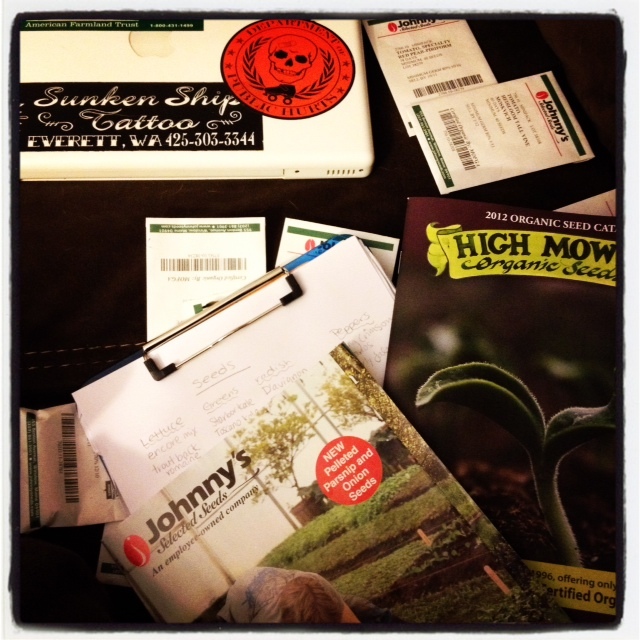 The couch next to me filled with all the necessary garden planning items. Looks like I’m about a week ahead in terms of garden planning this year. 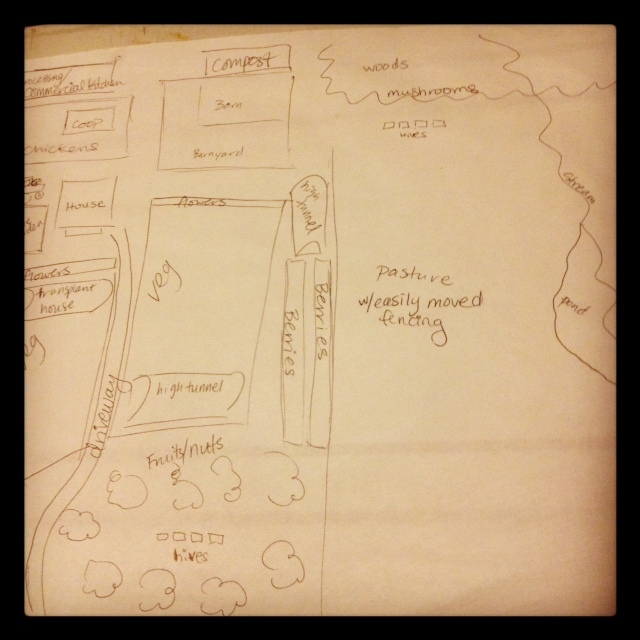 Here is the post where I talked about my garden plan for 2011. Going to the NOFA-NY Winter Conference (here’s a recent post on that) invigorated me in terms of wanting to grow things. Tonight I sat down with some paper, a pencil, my leftover seeds, and a few catalogs. First I wrote out what I already have, and then I went through to pick out what I might want this year. I tried to be very realistic when choosing certain things. Last year’s garden wasn’t nearly as well thought out, and I ended up wasting tons of produce. It was really pathetic. I foolishly grew too many tomatoes and I don’t really know why I grew Romas because I always get so many from work, it’s just crazy. I also ended up growing a type of of cherry tomato called a sungold. I got the starts from work and I’m pretty sure I grew 5 plants which produced like crazy. This year I’m going to grow one plant of yellow pear cherry tomatoes and be content. I’ll be growing lots of greens. Most of them were purchased for our cold frame garden that didn’t end up happening this year, so instead I’m going to plant them right out in the garden. I will have one section for lettuce successions and another for cut-and-come-again plants like kale and chard. I think I’ll throw in a few more broccoli varieties, and make sure to not let the transplants get too leggy this year. I also need to be better about removing the outer stems to promote better growth this time around. Our cool pea trellis that Chris built last year is going to work hard this year. I plan to put peas on the front again but this year I’m going to plant two varieties of pole beans on the back. It also looks as if I’ll be tearing up the other part of my front yard for herbs. There’s simply no way they will all fit in with the vegetables. Plus I feel like herbs are something I need easy access too, so a nice, narrow plot should suffice. A few herb varieties are perennials so I may try to figure out a way to plant them somewhere separate like in my backyard. If I do this I’m going to have to put up a low fence around them otherwise my crazy dogs will trample them. I’ve done a rough mock up of the garden but one of these days I’m going to go out and remeasure it so I can pin down the final version. I plan to compare the space needed for each vegetable with the actual space so I’m not caught off guard at the end of spring. I also don’t want to accidentally start too many seedlings. I’ll keep updating things as the season progresses too. What are you planning to grow? 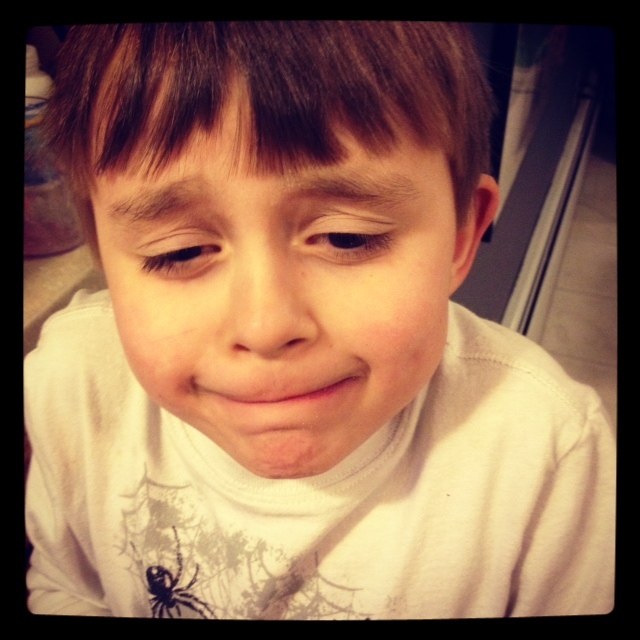 This entry was posted in food, gardening, homestead and tagged garden planning on January 26, 2012 by Erika T..
Jack wanted to showcase his "sour face" from drinking the combo of lemons, limes and purple carrots that I made for him. He enjoyed it but his wintery chapped lips did not. For awhile now I’ve wanted to get a juicer. From time to time I’d get the notion, browse Craigslist, find nothing and then forget about it. I really didn’t want to spend a fortune on one. Recently I started looking again. I browsed reviews and shopped around online and it still looked like I was going to have to spend around $150. I really didn’t want to spend that kind of money but felt like I didn’t really have a choice. After all, if I was going to put in the money, I wanted something that would last. Chris noticed they were offering a factory refurbished Black and Decker one at a local discount store. It was only $20. I had never come across the model in my search but I figured for $20 it wouldn’t hurt to try it out. For something so inexpensive, and also refurbished, I cannot believe how well it works. I’ve been using it for over a week and haven’t been disappointed once. Now in the morning I make juice for myself and Jack. I’ve been trying all sorts of crazy combinations. This weekend I plan on getting lots of beets at market because that is one flavor I haven’t tried yet. Having juice this way is so much tastier than the stuff from a bottle. I actually haven’t bought juice in some time because it just seemed like kind of a waste. I was a bit worried that by having it as my breakfast that I’d be starving an hour later. It turns out it actually fills me up. This has given me hope for the eventual possibility of a juice fast. In due time…. 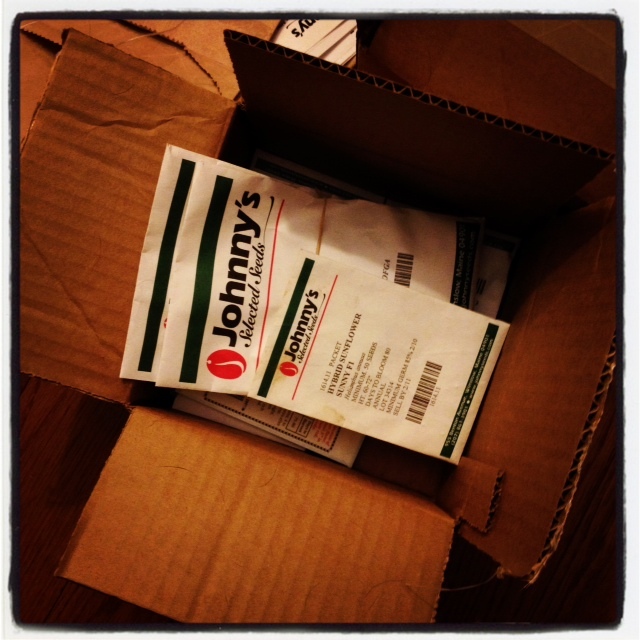 This entry was posted in health and wellness and tagged juicing on January 25, 2012 by Erika T.. Check out this short video of the group from Sylvester Manor Educational Farm singing work songs at the NOFA-NY Winter Conference. They were fantastic! This entry was posted in farming, just for fun and tagged NOFA NY, Sylvester Manor Educational Farm on January 23, 2012 by Erika T.. 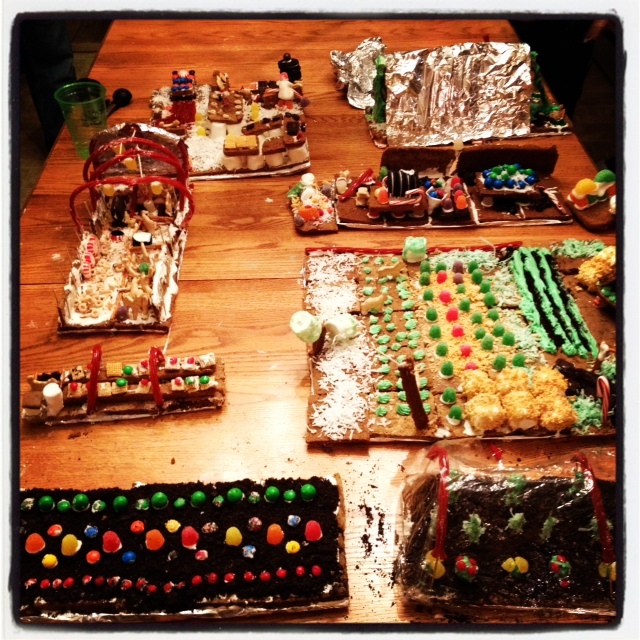 Gingerbread farm we made at the Kilpatrick Christmas party. Well we did it, we survived the holidays and rang in the new year. I knew that somehow I’d get all my homemade gifts finished in the nick of time. Seriously though, this year I’m going to craft things all year long and just squirrel them away so I’m not so frantic near the end. I also decided upon a new tradition. Going forward I’m going to make a handmade gift for Jack that he can open on the morning of Christmas Eve. We were never allowed to open anything on Christmas Eve when I was little so I’m the same way with regular presents. That’s why it will only be handmade and something really special. 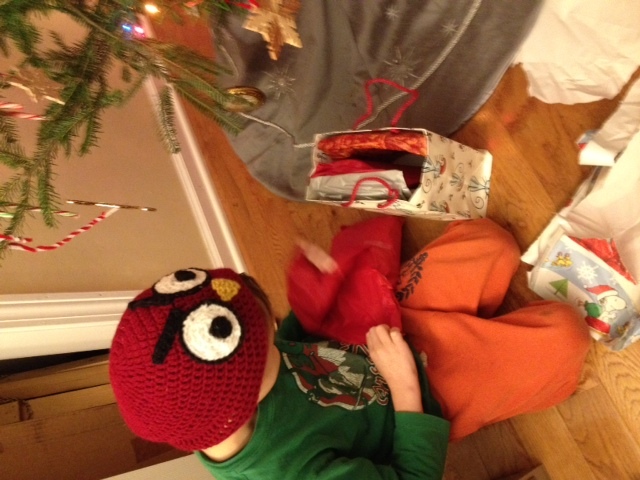 I’m proud to say that Jack loved his surprise Angry Bird hat and has been wearing each day since he opened the package. Christmas morning Chris went to work and Jack and I had a nice breakfast together. I got to enjoy two lovely, homemade gifts during breakfast. 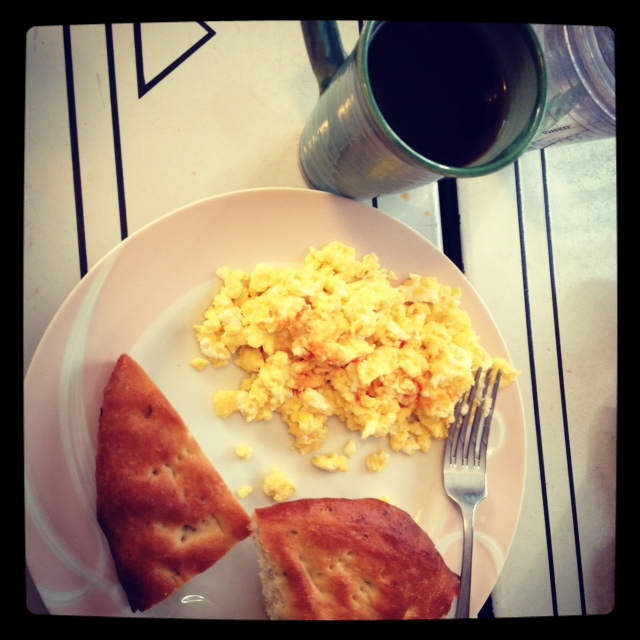 Jillian had made me some tasty foccacia bread and Christina gave me a jar of home-roasted coffee. I had them with some tasty farm eggs and it was the perfect way to start the day. Chris actually had New Year’s Eve off from work so we ordered Chinese food and watched Green Lantern. 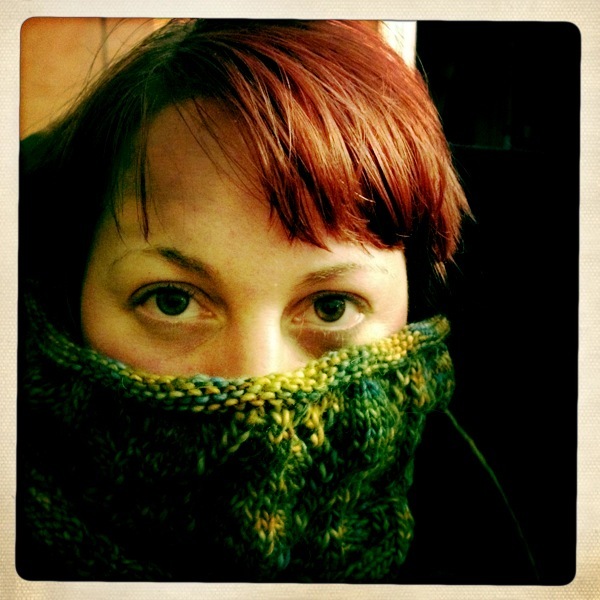 This was followed by Portandia and Star Trek: Next Generation, while I furiously tried to finish a cowl I was knitting. At the stroke of midnight I was binding it off. I really like how it turned out. New Year’s Day we slept in, made homemade waffles with KFF strawberries, real homemade whipped cream, toasted pecans and local syrup, then took a walk through the Village with our pups. At night we went to Albany to see Hugo (which was awesome and reminded me of my days working at The Film Forum) and surprised Jack with a trek over to The Melting Pot for some chocolate fondue. Monday Chris was off again so we took down all the decorations, put the tree on the curb, and cleaned the house. Now it’s time to look ahead to what we are going to do with the year. I pondered writing out very specific goals for myself here (and I still might in a future post) but for now I’ll just say that my theme for the year is “stewardship.” I want to be a better steward of all the amazing things in my life. I want to be a better steward of the land by planning and working my garden better this year and by continuing to improve the market experience for KFF. I want to be a better steward to my kiddo by being more patient and doing more fun/creative things with him on a regular basis. I want to be a better steward to the important people in my life by being more kind and understanding. I want to be a better steward to myself by exercising more, namely running. I have a feeling it’s going to be a wonderful, eventful year! 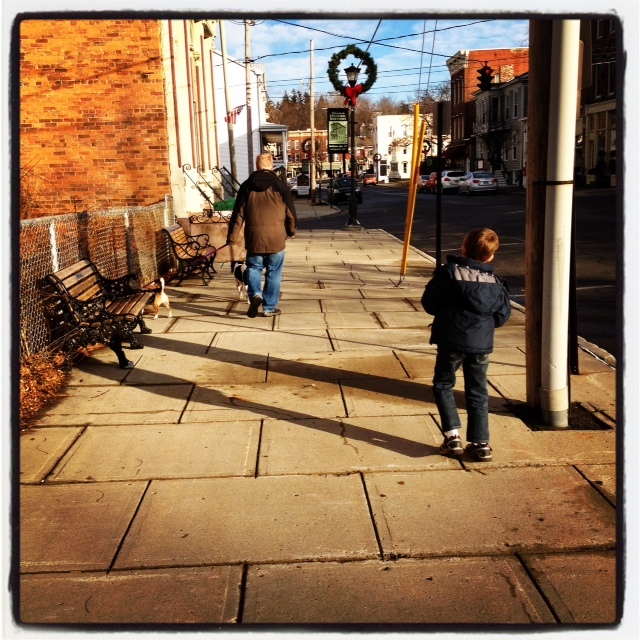 This entry was posted in family fun, kids, knit, meals, outdoors, Uncategorized on January 3, 2012 by Erika T..